Fast bowler Kemar Roach has been recalled to the Windies squad for their three-test tour of England starting next month, the selection panel said on Saturday. Roach, who has not played a test for 18 months, was chosen after displaying fine form in domestic competition, said chairman of selectors Courtney Browne. 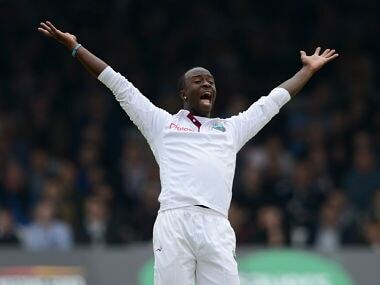 “Kemar’s return is welcomed as he was one of the best fast bowlers in tests in the recent past for us,” Browne said. Roach has played 37 Tests, taking 122 wickets at an average of 30.23. Uncapped opening batsman Kyle Hope and left-handed all-rounder Raymon Reifer were also chosen in the 15-man squad. But Darren Bravo has not been picked, despite his recent apology for calling Cricket West Indies president Dave Cameron a “big idiot” in a tweet following disagreement over his playing contract late last year. The apology came too late for him to be considered. Bravo, who has a very respectable test batting average of exactly 40, will be eligible for selection for future matches. Windies will play three tests against England before a new squad is chosen for five one-day internationals and one Twenty20 game. Windies, the sport's dominant team in the 1980s, have fallen on hard times in test cricket, losing their past six series. 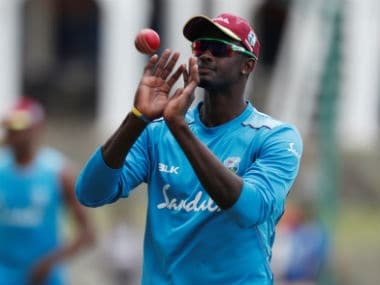 Squad: Jason Holder (captain), Kraigg Braithwaite (vice-captain), Devendra Bishoo, Jermaine Blackwood, Roston Chase, Miguel Cummins, Shane Dowrich, Shannon Gabriel, Shimron Hetmyer, Kyle Hope, Shai Hope, Alzarri Joseph, Kieran Powell, Raymon Reifer, Kemar Roach.